Well, I started back at work on the film – back to 11-hour days – so not too much time for personal work. Here’s another sketch for the Rocket Patrol poster. I find sometimes when I slow down and get into realistic proportions and poses, it loses some of the design of the original thumbnails. 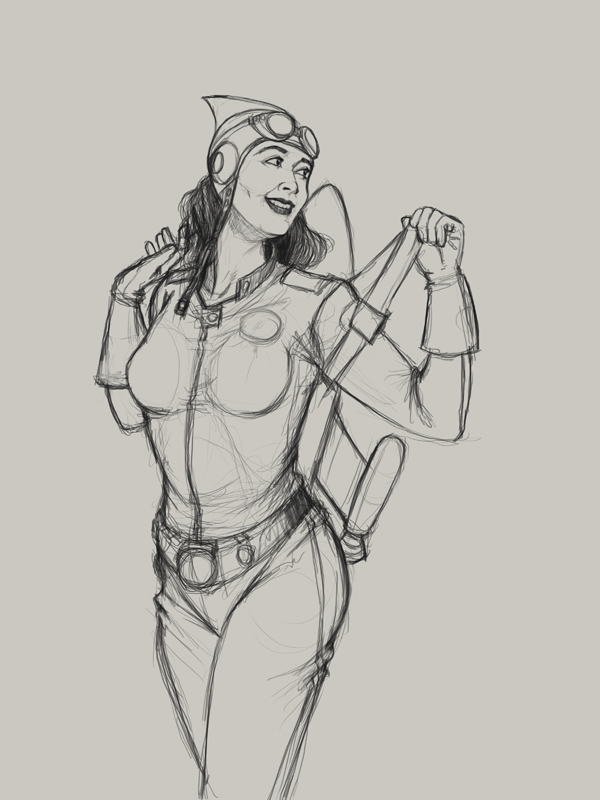 I’m going to try to find a half-way between this sketch and the stylized lady of my first scribble. I also want to give her face that classic American illustration look. Not quite there yet.